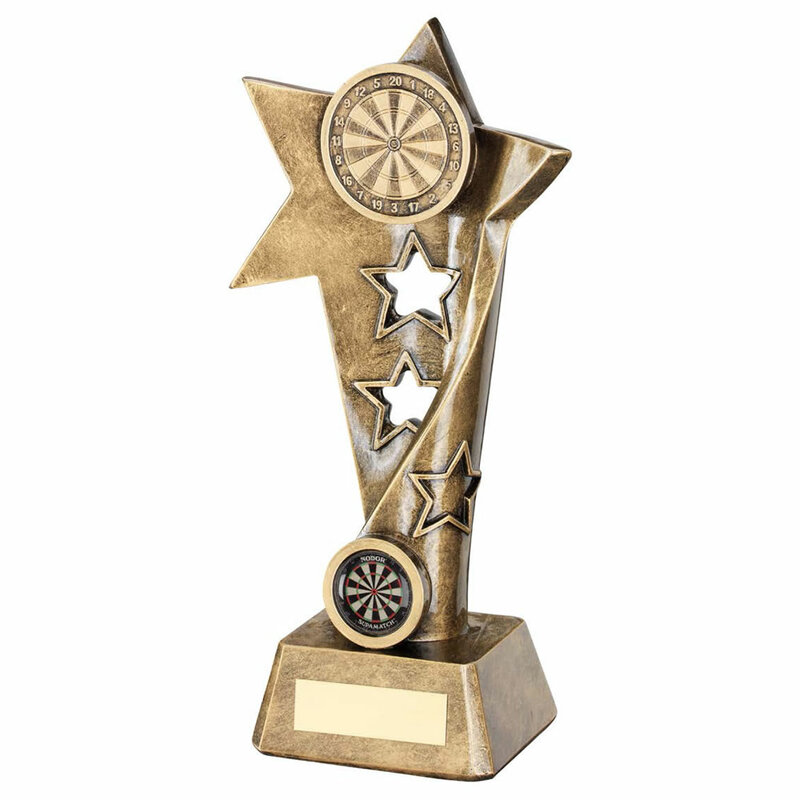 Stylish and versatile darts trophy made in durable resin with an attractive antique bronze and gold colour finish. Features a star motif column with 1in centre at the foot and dart board at the top, mounted on a bevelled base with engraving plaque. Available in three sizes, offered with custom engraving.